Like most parents, we try to encourage children to earn money through various jobs with the hope that it will teach the value of it for later. But if you’re like me, you don’t carry cash anymore, and constantly scrambling for change somewhere in the car, or having to delay the payment, which is not ideal. So, I recently received debit Visa cards in the mail for my 3 children, which will hopefully solve all this soon enough. It’s called ‘Spriggy‘. 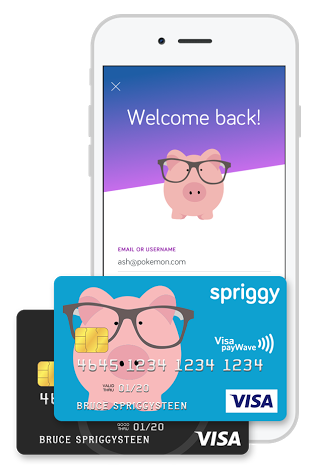 It works the same as a bank, as you can transfer money from yours straight into their little spriggy accounts. I’m sure a bank has done something similar, but it hasn’t been communicated to me as yet. Teaching children about the value of money through responsible card ownership will set them up for their early adult years. So, when my kids earn ‘commission’ for doing jobs around the house or office, I can pay them direct and I don’t have to worry about reaching down the back of the couch or under the drivers front seat. My disclaimer is that we haven’t used it all that much yet, but I really like the idea and wanted to share it because I’m share other parents would have the same frustrations. I’d love to hear your feedback if you use them (or another provider).